Campground was clean and sites were level thus easy to set up. Bathroom and shower were very clean. We really enjoyed our stay and would HIGHLY recommend this campground. We took a walk down a trail that ended up at a cliff where we saw the low tide, and walked back later when the high tide was coming in. We stayed two nights and it was awesome! Since this place was recommended in the Good Sams book and one of Canada's select campgrounds, we had high expectations. Unfortunately we were overall not pleased. They may say they have Wi-Fi but the only place it is available is in the laundry room. There are no local television stations available to even get the weather. But the biggest headache was the lack of good water pressure or even HOT water to take a shower and the lack of showers themselves. What ever you do, tell them you DO NOT want to be in the front where the store is. Those poor folks were extremely crowded; there is NO privacy, their cars and campers were filthy with dust from the traffic coming and going each day. The property itself is beautiful. 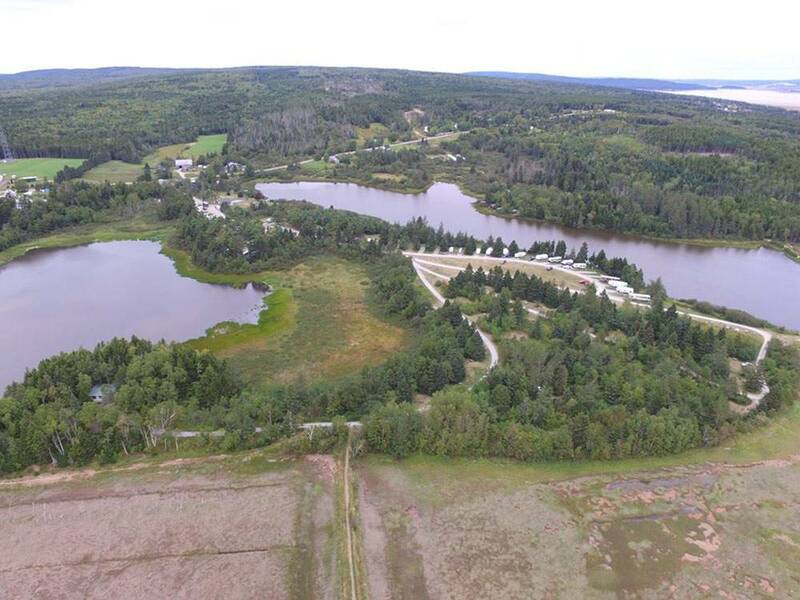 It back right up to the Bay of Fundy and included many little lakes. Tent campers will enjoy the little private areas for them to make their camps. There are fire pits for every site as well as picnic tables. We did have a beautiful site under the trees, but lacked water totally at times and Wi-Fi all the time. Website gives no details of fees. This camp is primarily designed for tent and pop-ups. The RV sites are backins with litterally 3 ft between bump-outs. Only 2 flush toilets in community building. No info given concerning radio or TV channels. Buy all groceries before getting down there - there is no grocery stores in the area other than very small expensive shops.